Lady of St.Kilda was a schooner which served from 1834 before being shipwrecked at Tahiti after sailing from Sydney sometime shortly after 1843. She was built in Dartmouth, Devon, England to carry fruit from the Mediterranean countries to London. The schooner was bought by Sir Thomas Dyke Acland (a member of a prominent British political family) in 1834 and named Lady of St Kilda, for the island of St Kilda in the Outer Hebrides of Scotland. 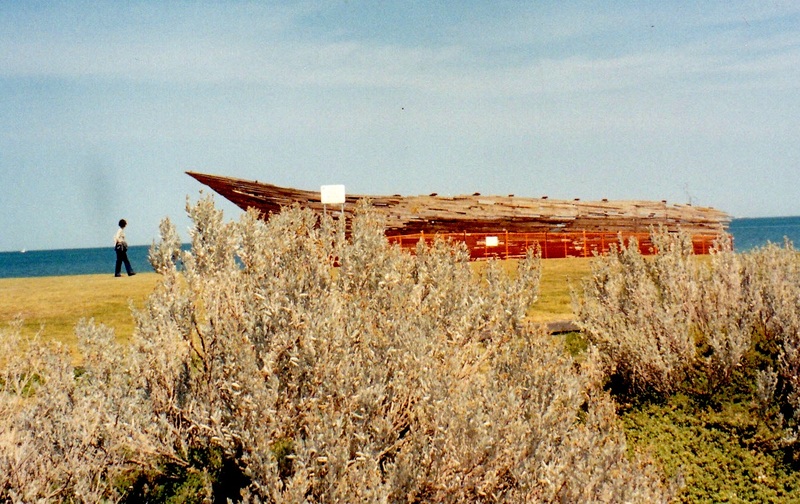 She acted as a trading vessel and sailed for Port Philip in Melbourne in February 1841. There is a mural of the Lady of St Kilda on the Sandringham Railway Line overpass at Balaclava Railway Station (pictured above) which was commissioned by the City of Port Phillip. 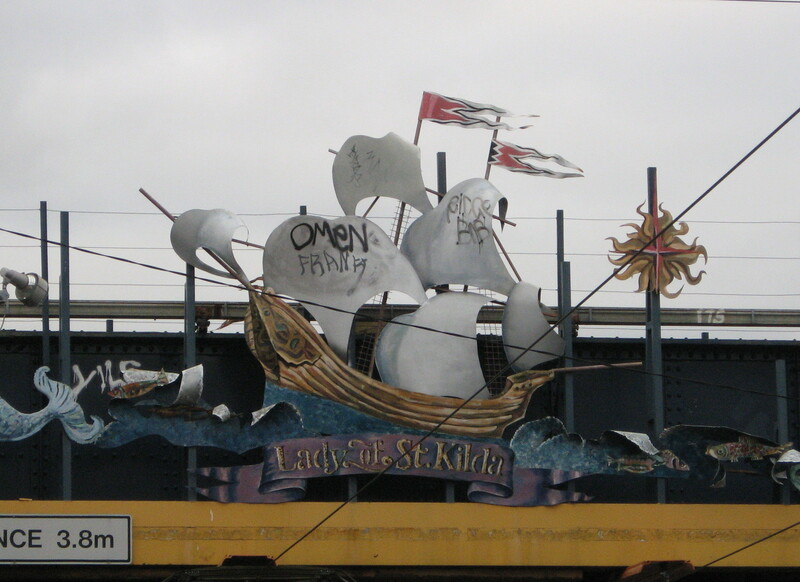 However, there was briefly, another Lady of St Kilda replica, which despite its huge popularity, the2006 art installation depicting a mock shipwreck at St Kilda Main Beach was later disassembled by the City of Port Phillip because of public safety concerns despite calls to keep it. In this case, art lost to bureaucracy. For further examples of sculpture and street furniture art see this page. This entry was posted in Sculpture and tagged Lady of St.Kilda. Bookmark the permalink.